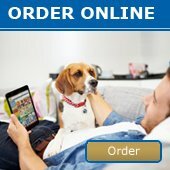 2018 DOG COAT CATALOGUE - SAVE 60%* - News - Prestige Pet Products Pty. Ltd.
Once unlocked, you are able to purchase any number of our Run Out Dog Coats (Pages 12-16) at 60% OFF! Offer valid until 30/8/2018 or while stocks last so BE QUICK! This deal must be done on the same order/invoice. To reorder and reactivate this offer deal - 12 more ZeeZ Coats of any style, size and colour must be purchased again. Dog Coat Offer 2018 expires 30/08/2018 or while stocks last. To unlock 60% off the Run Out Range, you must first purchase 12 or more items of any style, size or colour from the ZeeZ Dog Coat Range [ZeeZ Supreme Coats (Nylon & Oil Skin), ZeeZ Dapper Dog Coats (Nylon & Oil Skin), ZeeZ Cozy-Fleece Vests]. Our Run Out Coat Ranges (on pages 12-16) includes Original ThermoMaster Supreme & Dapper Dog Coats, Prestige Cosy-Fleece Vests and the Designer Collection. Please note the Run Out Range does not include every size and stock is very limited. Always check our website for the most up to date availability. Please note this deal MUST be purchased on the same order/invoice. RE-ORDERS - to unlock this deal again, you must purchase another 12 or more items from the ZeeZ Coat & Vest ranges. Discount applies to run out stock only.